IRL those steel wheels look mutch better, but i sold them already. Now i have BBS RS reps for now. I’m loving the color layout..
Great project. 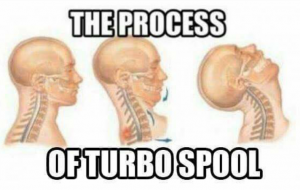 You still have the 3 turbo setup? On a side note, is it possible to build the B20 to a 2.8? Or one should get a 2.5 head as well? Last edited by 93Siro; 01-16-2019 at 07:20 AM. Yeah, two small turbos and one big turbo in compound turbo mode. 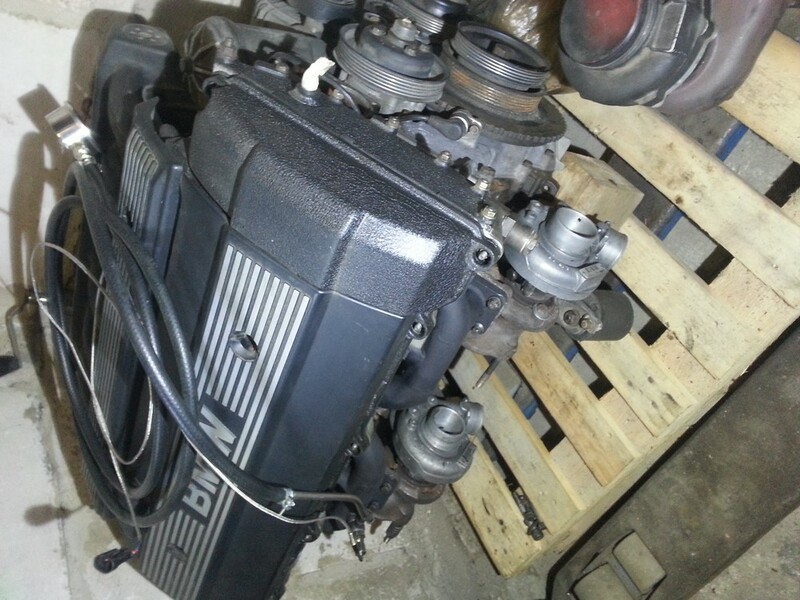 Building a 2,8l engine from B20 is not worth it. The head flow is not that good. B20 intake valve is as big as B25 exhaust valve. You can get 2,5l when using B28 crank and if you bore the cylinders to 84mm, you will get 2,8l. BUT cylinder wall gets very thin between 4/5 and 6 cylinder (~2-3mm) so the block would not be bulletproof. Also when you bore the engine, you will need B25 head. Its better to get B25 engine and use b28 crank, rods and pistons in that. But with my setup, the biggest restriction are smaller turbos i belive. With my setup i got 477hp/670nm from crank @ 1,6 bar boost. And with 2-2.1 bar boost its a little above 500hp, but the last approx power is calculated using injector DC. So you can see that the power was not worth the time i wasted building that engine and turbo setup. I just got a lot of experience building, welding and testing stuff. My next plan is to take the engine out and replace it with B25 or B28 and maybe single turbo. Its time to move on, ~500hp is not enough. the 2 turbos are to spool the 1 big boi turbo much faster. At the same time surpassing the limits of the twins alone. too me it seems like a setup for an old age where turbos spooled very very slowly especially the big ones vs today. hx55 is a biggg turbo i don't think you wasted time if your 2.3L could spool it up that quick. Is there a modern turbo that can give u the same power band vs your tri-force setup? if not it wasn't a waste. Yeah, without the hx55 its just a regular twin turbo setup. 1-3 and 4-6 cylinders have turbos. 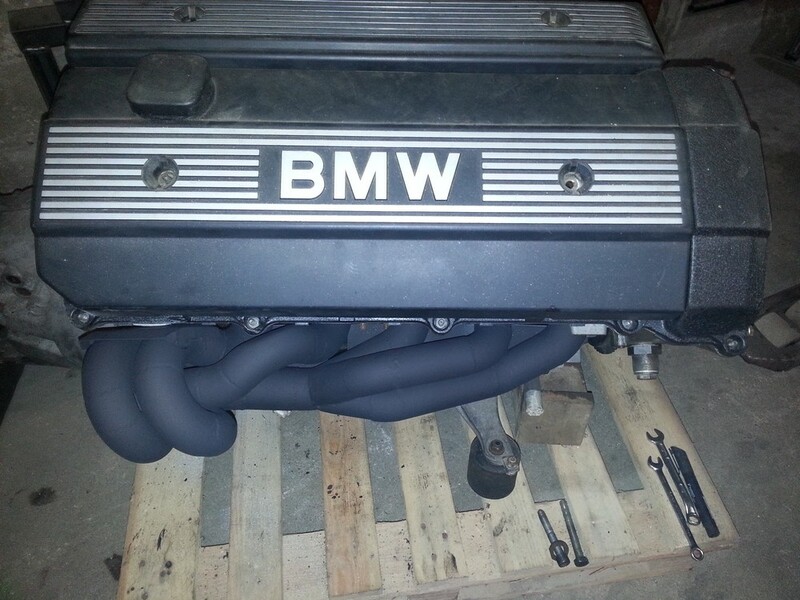 But in my setup, both smaller turbo downpipes are going to bigger turbo exhaust housing. On the intake side there is air filter -> hx55 -> smaller turbos -> intercooler. So when the bigger turbo makes full boost, smaller turbos are breathing 15psi air pressure. In theory, smaller turbos alone should make ~350hp max and in compound turbo setup bigger turbo has to produce 2x the air volume that the smaller turbos can make. But because of the restrictions of the smaller turbos, you will get about 80-85% of the power that the bigger turbo can produce. In theory. With my setup i get ~7.5psi @2500rpm and at that rpm i have around 220ft-lbs / 300nm of torque and i think its good for a 2,3l engine. When i compare it to 3.0l engine dyno results, its about the same tq at that rpm point. I think i could get the same results with a single BB turbo, but i paid $70 for both smaller turbos. I dont know if there is a BB turbo that could make 1:1 power that i have with this setup. Im using quick spool valve on my HX55. So on a rolling start in 3rd gear, smaller turbos make 30 psi @ 3500rpm and at this point hx55 makes 2.2psi. At 4200rpm, there is still 30psi on the intake and hx55 makes 15psi. So the boost curve on the bigger turbo is quite aggressive. But i guess for it being a 2,3l (~2264cc) engine, its a good result. Is the block different with B20 than B25? 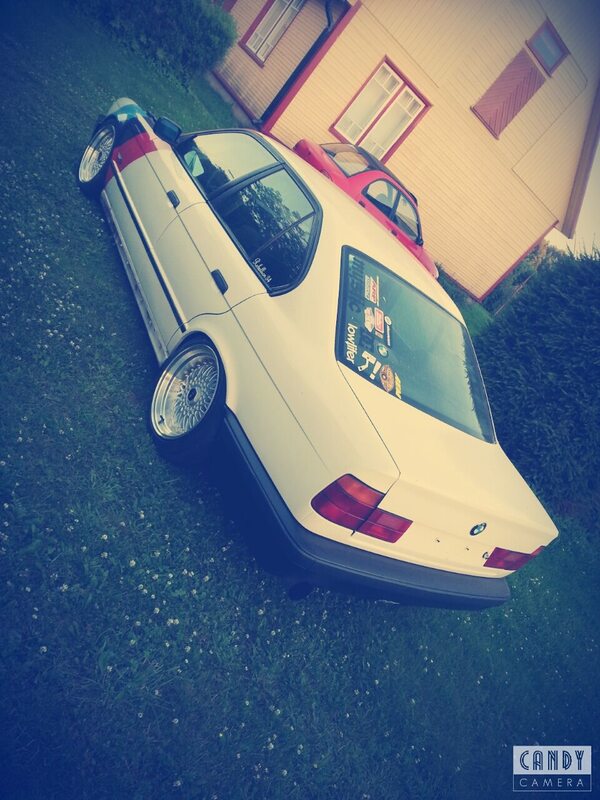 I already have an E30 M50 turbo i was thinking about doing a E34 and happen to know a mint 520i. In my country engine swapping is not that straightforward and you have to get the block number matched to the car registrations in order to have the car street legal. What i had in mind was use the B20 block, throw away the head and install a B25 head. 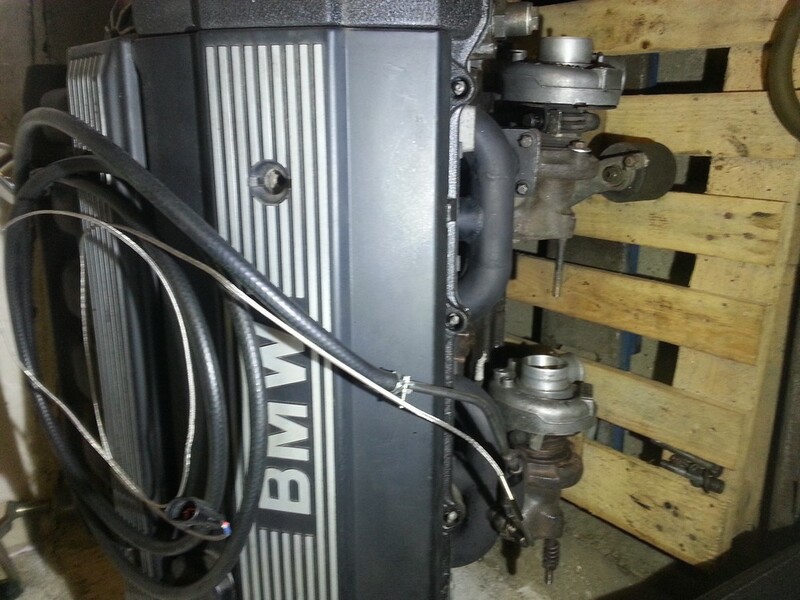 Bore it to B25 spec and use M52 crank and build the bottom end like the setup in the E30. A few more questions for you if you don't mind. What is the DME code for M50B20? Is it shared with M50B25? What rear end B20 use? Medium case? Last edited by 93Siro; 01-17-2019 at 10:45 AM. "I have cutted old m50b20 block and compared near to b25 block ,they are at end different, wall thickness is different, so boring m50b20 to 84mm bring cylinder n° 5 thichness of 1.5 mm that is not acceptable." -M50(TU)B25 have 2 types of ecu-s Bosch 3.1 (non vanos) (402, 403 & 405) and Bosch 3.1.1 (vanos) (Red or silver lable 413). Silver lable in EU is only used on cars that have automatic gearboxes, but is basically the same software version that US M3 uses. -You can swap 3.1 ecu with Bosch / non vanos B20 and B25, but you will also have to change the eprom or "burn" B25 software if you use it on B25. I can help you with that if needed. -B18/B20 and all diesel models use medium case rear ends. Great work. I wanted to ask you what ecu are you using? Is it stock dme ? Chip or standalone? I meant dear Raimo , ? 1.5 Motronic 3.1 + piggyback to get rid of the MAF and get extra features like datalog, launch control and rev limit with ignition cut. 2. Motronic 3.1.1 (413), but i ran out of MAF very soon. 3. And now i have Ecumaster EMU standalone. Only downside for that piggyback was that the fuel injection wasnt sequential anymore. Piggyback only had two outputs for injectors, maximum 4 injectors per pin. Im building another cheap turbo B20 engine that uses stock ecu and piggyback called "ECUMATER DET3". RaimoHal. Love reading of your experiments/builds, keep letting us know the outcomes and pitfalls of turbocharging! I had already choose the Det3 as the last option , since it is cheap. I have also contacted ecumaster for info about it. The downside of it since it is not sequential , will influence in any bad thing ? Please post you progress about the new setup with the piggyback DET3. For it not being sequential, it means that the piggyback will inject the fuel behind the closed valve. But older Motronic ECU-s did it from factory (like M20 engine) and i think megasquirt has full sequential injection up to 4 cylinders. (?) Engine will work just fine, but fuel atomization suffers from that. Thanks guys! Ill try to keep this thread updated. At this point i have engine ready to install, but i dont have a place to put it. Already nstalled the turbo, now i need the tune . Please advise some options. I have been thinking ecu det 3 or vems. Vems is more expensive but can add knock detection and full control. What do you think is worth for 250-300 hp? P.s. I do not know how to add a picture in thus post. Standalone ecu is better in many ways. Soon you want more power and it would be better to get VEMS/EMU or MS now. But if i was building a cheap turbo build with max 3-350hp, i would use DET 3. Idle is already tuned from factory, you just need to make ignition angle corrections in boost area and make sure afr-s are good. I had some old exhaust flanges from old projects laying around so i decided to make twin turbo log manifolds for testing purposes. The idea is to tune the engine with those manifolds, measure EGT, TIP and AFR and on the same day, change them to equal lenght proper manifolds and repeat the testing on the dyno to see the difference in performance. I also went driving on the lake, was fun. I also made instagram where i post some stuff i think is cool. love compound turbo setups. dsm guys do it. wonder only one map sensor is enough for tuning like 1 turbo setups? or u need maf and map together. For drag race car, 1 map sensor is enough. For daily/track car 1 MAP sensor is enough if the ecu has "TPS vs MAP" for fuel and ignition corrections. After the engine is tuned with WOT on every boost levels and you want to accelerate with partial throttle, you need to decrease the fuel amount. 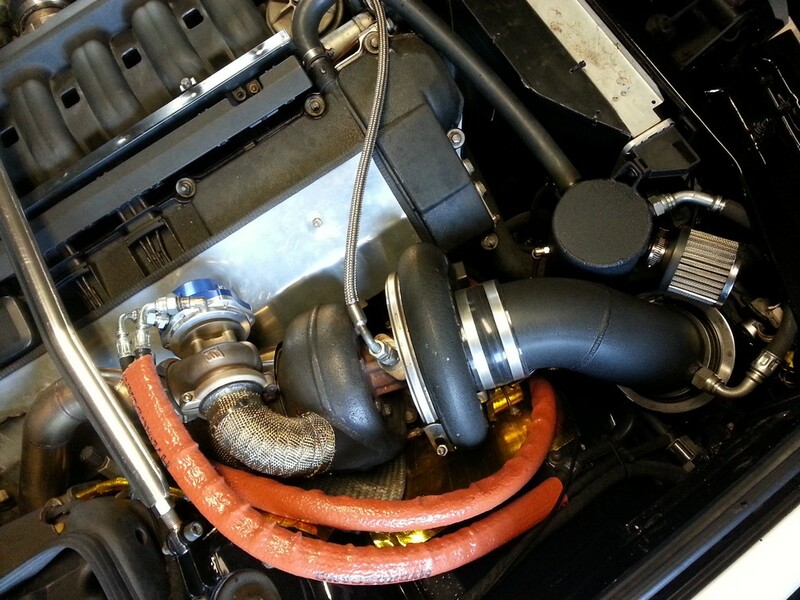 Thats the experience i got from tuning my engine with this turbo setup. But i agree that it would be better to use Two map sensors. My ecu doesnt have correction map for second MAP sensor..